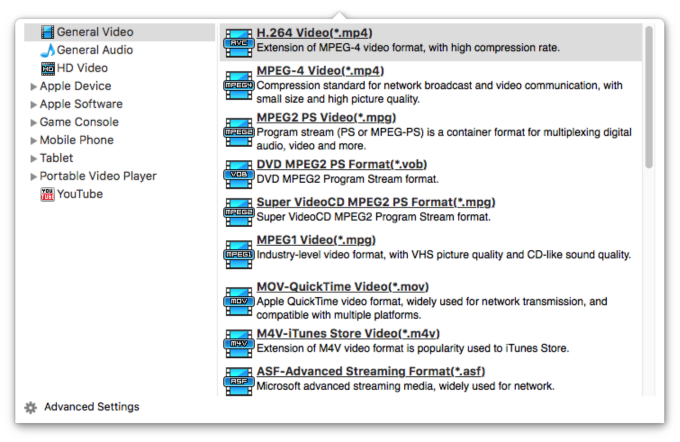 How to convert MKV to MPEG on Mac? "I have downloaded a movie which is 10 GB in size and is in .MKV format. I know that Sony 32bx300 does not support .MKV but mpeg1, mpeg2 and mpeg2 files. Can you suggest me any converter which will convert the MKV into mpeg format without losing the quality (1080p)." MPEG format is well supported by most kinds of mp4 players like iPod, iPhone, Zune, PSP, Blackberry, etc while HD MKV (Matroska Video) is common for storing video and audio data on computers but can't be supported by those media players, so if you want to play your favorite MKV movies on your portable device, it's necessary to convert MKV to MPEG format. iFunia Video Converter for Mac is the best MKV to MPEG Video Converter software that can convert MKV to MP4, MKV to MPEG4 files and other formats files in one click, such as AVI, WMV, FLV, 3GP, ASF, MKV, M2TS, MTS, etc. Now, we need to import MKV files that need to be convert to MPEG videos. Click the Media Browser icon at the upper right corner to add the MKV videos which you want to convert to MPEG, you may add as many MKV videos as you want for batch conversion to MPEG. The app also supports dragging and dropping files. Click on "Edit" button to give basic video editing before MKV to MPEG Conversion. You can crop (cut off black edge of original MKV Movie), clip (trim any segment of MKV files you want to convert) or customize video effect or add watermark to the video. Click the format profile icon, and the output format profile window will open. You will find a drop-down list where you can choose MPEG 1 or MPEG 2 as output format. The default setting is recommended to use, you also can change conversion properties. Now you may click the big button "Start" to begin converting MKV to MPEG video. The convert progress bar shows you how much of the encoding is completed. The encoding time will depend on several variables including: the duration of the video file, the speed of your computer, what other activity your computer is currently doing and the bitrate you set.